The holiday season is a time for celebrating and entertaining. Celebrations usually involve food of some kind. If you are entertaining, you don't want to be stressed. You want to be a successful host and enjoy the party. 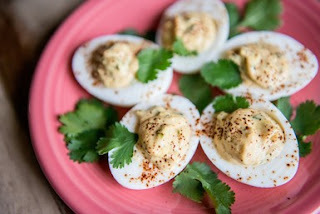 Here are some of my tips for easier entertaining. If you are making a meal with multiple dishes, the preparation and cook times can be challenging. You are making multiple things with different cook times. 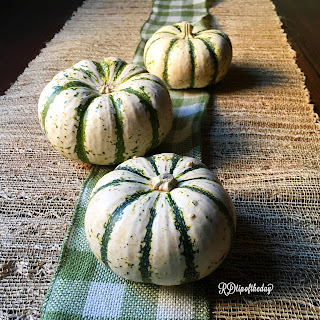 Here are my tips to help make entertaining and cooking less stressful when entertaining. To make a plan for a successful dinner, assemble your recipes. Work backward to make a time line. For example, here's a plan for a 20-pound turkey. Step 1: Defrost frozen turkey (about 20 pounds) in the refrigerator for 4-5 days before Thanksgiving. Step 2: Brine or season the turkey over night. 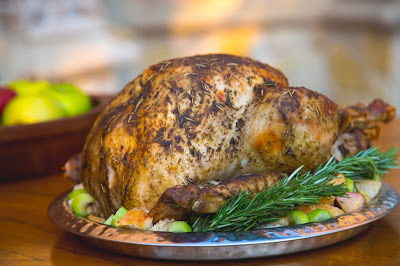 Step 3: Cook the turkey for 20 minutes per pound (20 minutes x 20 pound turkey = 400 minutes or 6 hours and 40 minutes). The turkey will need about 25-30 minutes to rest after cooking to an internal temperature of 165*F. You will also need to allow time to carve the turkey. The oven may be open and shut to add extra items, so you would want to plan for the turkey needing about 7.5 hours to cook, rest, carve, and serve. 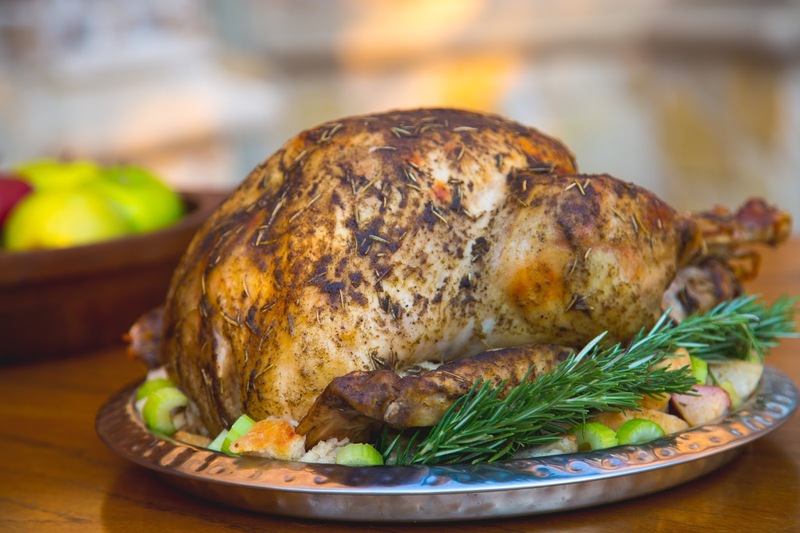 If you have Thanksgiving lunch at noon, you would need to start cooking the turkey at 4:30 AM. Preparing ahead of time reduces stress. Set the table the night before if you're able. It's always nice to have something to cross off the to-do list. Pick a simple appetizer or dessert that can be made ahead of time. Or, ask your guests to bring something. Pick up an appetizer from the store or make a fruit platter, cheese board, or vegetable platter. 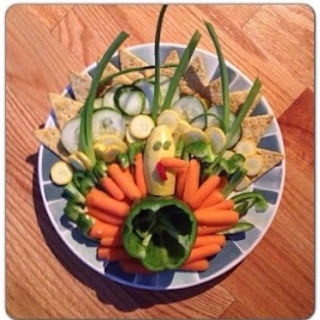 Try making a turkey veggie tray with homemade hummus. The hummus can be made a few days before and refrigerated. 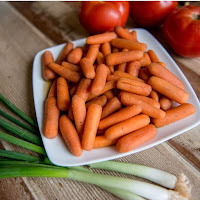 The veggies can be washed, chopped, assembled and kept in refrigerator. You can have your kid chefs assemble the turkey. Extra hands make light work. Try making a non-traditional dessert like my browned butter cereal treats. You can make it the day before and keep it sealed in an airtight container. These cereal treats are quick and easy to make. Kids and adults love them! This is a motto in my family. Knowing you have a little extra food prepared is nice for eliminating the mental stress caused by the question "did I make enough food?". It's also handy for the unexpected but welcome guests. Also, who doesn't love leftovers?!? You've gathered your favorite people: your friends and family. You've prepped and prepared a delicious meal. Now, enjoy the party! A great host is relaxed and fully involved in the present. Have fun! To review, here are the four steps for successful entertaining. Stay tuned this week for leftover ideas to create new and delicious meals form your holiday leftovers. 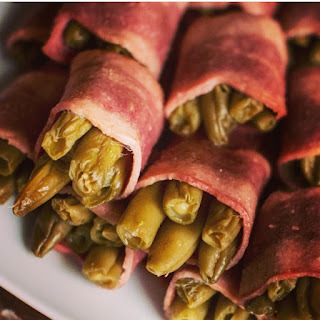 For more recipes, encouragement, and tips for healthy eating, follow me on Pinterest, Instagram, Twitter, and Facebook.